The first 2 months of my daughter’s life I used a zipperless tote from the hospital as a diaper bag. Needless to say that wasn’t really working and I was done with being a billboard for my L&D hospital. I refused to buy a diaper bag, most of them are ugly and if not, then they are way too expensive. With travel plans ahead of us, I decided I needed to make the biggest possible carry-on/diaper bag for on the plane. I chose the Cargo Duffle bag by Noodlehead (free pattern) and finished it early December. This worked well both on the plane and afterwards as a carry-everything bag. Great for all things baby, but pretty big (more on that bag in another blog). So I knew that at some point I would want to make ‘another’ diaper bag. The Super Tote pattern by Noodlehead became the one. My second and only other make for the SHB sew-along! I almost finished it on April 30th, but needed a seam roll to be able to press the exterior well before sewing the lining in). (I must admit I recently saw the Aragon diaper bag pattern by Sew Sweetness and may have to try that one too. Bag making is addictive. Bags never were addictive to me, I’m a one bag kind of person, so the 3 bags I’ve made are basically the only bags I’ve got). Materials I’ve used: Kaufman Essex Linen and Koi, Pennants Waving quilting cotton for the exterior, various fabrics for the lining (all fabric was stash fabric, hurray!). Various thicknesses of interfacing (SF101 and Pellon Craft Fuse 808), elastic and a key swivel. So bright and cheerful and unlike the diaper bags in the stores. I wasn’t sure how often I was gonna need this large front pocket, but today on the first day of using the bag, I already put something in it! I added an extra pocket for a bottle or sippy cup. Why oh why is the front sagging on top (between the handles)? Is it, because I didn’t reinforce the lining? Or does the 2 layers of interfacing not do the job? I only realized while editing these pictures that I made a mistake with the gusset pleat, because it looks funny. Oh well….I’m letting go of my sewing perfection. Perfection takes away all pleasure for me, so I’d rather finish and be happy with something imperfect, than spend hours being frustrated. Perfection is an impossible goal anyways. I love recessed zippers. I got this mint green heart fabric from my grandma’s stash. I didn’t think I would ever use it, but it’s the perfect match! The pictures don’t really show it very well, but some of the waving pennants are mint green. This bag seems huge next to me, but we’ll have to see how it works out in person. I only want to carry one bag, so it will have to fit a few of my personal items too. So far so good! When I read about the Small Human Being (SHB) sew-along on Polkadotoverload, a blog I’ve been somewhat silently reading the past few years, I immediately knew I wanted to take part in this sew-along in the month of April. 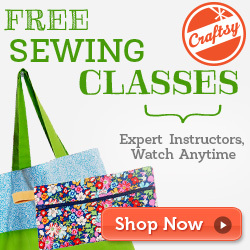 The sew-along is also organized by Cation Designs and Clio & Phineas. Sewing together and having a deadline makes it easier for me to finish things. Or that’s what I thought…because in reality April went by so quickly, in my head I’m still making more plans for the sew-along :). Teething and an arthritis flare-up were what April was about…together with lots of fun: jumping in the exersaucer, reading at home, singing in the library, making all sort of baby food and in all honesty, also enough challenges. April wasn’t so much about sewing. After cooking meals, laundry and dishes, there isn’t enough energy in the day to make me sew. Somehow it was easier for me to sew when my daughter was 2 months old (still have to blog quite a couple of projects), than now that she’s 7 months old…. I also haven’t read that many blogs lately, I mostly just look at the pictures. I’m really trying to sew a little every day, even if it’s just 15 min. 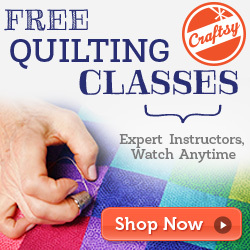 Something I read about on VintageModernQuilts and I quit like that idea! Back to the SHB sew-along: I got really excited about this sew-along when I saw the prizes. A subscription to Ottobre magazine (a Finnish children’s pattern magazine) is just such a cool price! The Scandinavian style and versatile patterns are a welcome change from the other US children’s patterns that seem to be the standard for handmade and I see all around the web and in little boutiques. 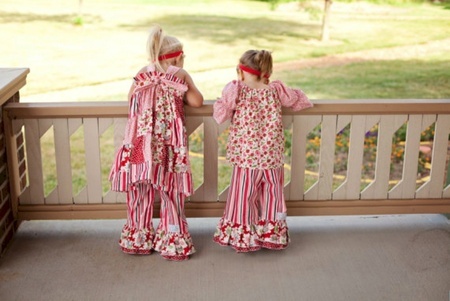 I just can’t bring myself to dress my daughter in ruffle pants and these kind of outfits: see here, here and here. Alright here’s my first make for the SHB! At the top of the baby sewing list were bibs. We were in dire need of them for a couple of weeks, when I finally sat down on a Friday evening 3 weeks ago to make a few. I think I could still use a few more. The pattern is copied from a bib I got from a friend and my baby well. I’ve sewn a lot of baprons in the past and have several cut, ready to be sewn, but my dislike for bias tape is growing every single sewing project…. and pear: though she seemed very offended by the taste & texture, she really enjoys eating it now, as do mommy&daddy :), taste just like Festini pear ice, but better. Gotta wear the right bib with the matching food :). With baby girl in my life, it’s a wonder if I have time to make something, so when I do, I don’t necessarily have time to make pictures of blog about it. Here’s a overview of things I’ve made the last couple of months. I finished this bee 2 hours before my water broke! Great timing :). I added a squeaker insert from this shop to the body. The pattern is from FrugalHaus.com, but it contains many mistakes. Too bad I only realized after making these that fake leather = pleather = PVC leather or else I would have never made these. Ugh, I thought PVC wasn’t used in consumer products anymore… :-/. Pattern drafted with help of this tutorial. Getting both to look the same was the hardest part. Also at first they reminded me of unflattering wooden shoes. They never stayed on very well, they kept slipping off, even though I think they were fitted pretty well, so she never wore them that much. Public changing tables are gross. With an transatlantic flight scheduled, I knew I had to make a real big mat so my baby wouldn’t be able to touch anything. The mat is 25×30″ (64x76cm). The back is PUL (polyurethane laminate), so waterproof. Pretty nice, if she decides to soil the mat, which happened more than a few times already. Let’s not look too long at the crooked front. Not sure how it happened…again. Tutorial by HowJoyful, although I made the mat bigger. A Texas baby visiting the Netherlands needs a warm hat! Left: 2 yards of Annette Tatum – Suzani Flower, bought from Studio25Fabrics. Gift for Vera’s newborn who gifted us beautifully knit booties! I used lovely DMC Natura 100% cotton for this toy, bought at Boekblad in Maarssen. I need to find a better way to attach the head as it keeps being ripped off, haha. I made the toy especially to fit a larger rattle insert, only to find out…it didn’t fit. I ended up inserting 2 rattles, so it makes more noise. I whipped this up right before our trip, but still need to take pictures! Looked in my huge ribbon&trim stash, but of course I had nothing that would work…JoAnns was there to help. After finding a pretty combination of 2 trims (for $3.18), I asked the cutting lady how would I sew it onto the dress? “Probably by hand” she said. “That makes sense” I agreed. Then I went home and turned on my sewing machine and stitched it on! Well…in an ideal world that would have happened the same day but in a baby-world I needed to change a diaper and nurse and change the diaper again :). I have no time for hand sewing. It might be good that I have hardly any time, because it makes for much faster decisions and sewing…and blogging! The black sequin trim looks kind of harsh in the picture, but not in real life! Tiny white tights – check! Black or white cardigan or long sleeve – keeping my eyes open for one. Cutesie shoes – not sure yet, may have to make them, because no way that I’ll find those for a she’ll-only-wear-those-once price! Pattern: I found the shrimp sushi outfit on Etsy and planned on copying it, but then found a tutorial on the Martha Stewart website. Materials: A onesie and fleece remnants. Pattern asks for felt, but I like washable things, so I used fleece. The pattern uses Heat’nBond, but I sewed everything onto the onesie. I had all the materials in stock, so I didn’t even need to go to JoAnns, yay! I used a 0-3months onesie, although she still wears newborn size. I took out 3 inches of width (yay for serging), but it’s still way too big. Look at the ridiculous difference in width between newborn size (green) and 0-3 months (white). These are even the same brand. Ugh, how is that every gonna fit a tall ‘skinny’ baby? I foresee a lot of sewing in my future. Time: With a newborn time is a luxury. I started this costume yesterday (party was today) and she napped for 3 hours, so I was able to pretty much start and finish it. 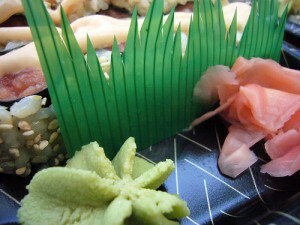 I wanted to add the sushi grass this morning, but she didn’t give me the chance (that’s ok :)). Tradition: I hope to start a tradition and sew my baby a Halloween costume every year :). Remember this squash? And Spike’s headless friend? Well, I finished him! It was the second knitting project I ever started (ambitious eh), but I lost interest more than a few times during the project. It nearly took me 2 years to finish him. I worked on him on and off, while knitting/crocheting 35 other things in the mean time. The Not So Itty Bitty Giraffe (pattern by Susan B. Anderson) is huge! The thing I was most uncertain about was the face. I tried different faces (from creepy to sleepy), as I never liked the original sleepy face, but nothing worked out. I added a mouth, tried to make him smile as much as possible through his sleepy eyes and now I’m quite pleased with his look! Nov 13, 2012 – Finished the body, woah, definitely a lot more work than I thought! Nov 16, 2012 – Finished the head within a few hours! 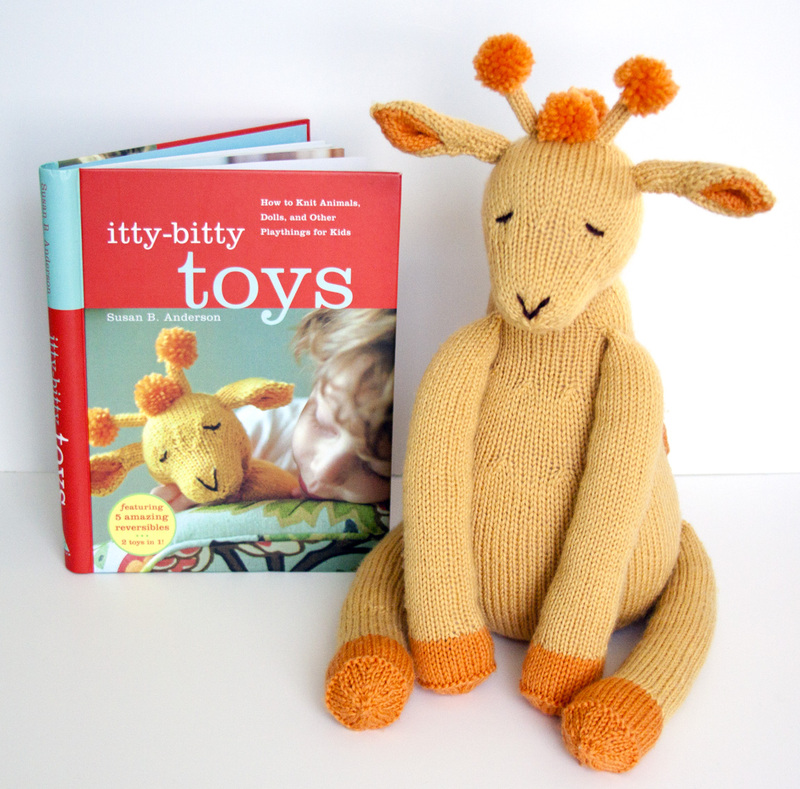 July 11, 2013 – Time to finish the giraffe! Working on the legs! Frogged the head. May 29th, 2014 – Attaching the head, ears, tail. Also trying different faces, not convinced by any of them. Late August/September 2014 – Rethinking the face. Guess I’m going with the sleepy look after all! September 4, 2014 – Finishing the last few spots, made pictures. These btw are my first pictures shot in RAW. We got a Photoshop and Lightroom membership too to really improve our pictures. Pattern: Inktvisje voor couveusekindjes. Click here for the pattern in English. Even though the pattern says squid, I think officially this is an octopus, but who cares :). This pattern is from a big Dutch/Swedish/Danish preemie charity project. The tentacles are great for premature born babies/hospitalized newborns as they remind them of the umbilical cord and prevent them from pulling out their tubes/IV. Yarn: Non-pilling 100% cotton yarn is required (not the cheap kind), as short fibre yarn can be inhaled by preemies and their lungs are still vulnerable. Despite my ginormous yarn stash, the only thing I didn’t have was 100% cotton, of course! I didn’t want to get my yarn at Michaels (that would qualify as cheap I think) and since the yarn store in Plano closed and the drive to Dallas would have been too far, I ordered my yarn from an Etsy shop in Scotland. Scotland, TX that is! Ha :). I got Rowan Handknit Cotton in Mango Fool (‘dark yellow’) and DK Cotton in Gerba (‘purple’).